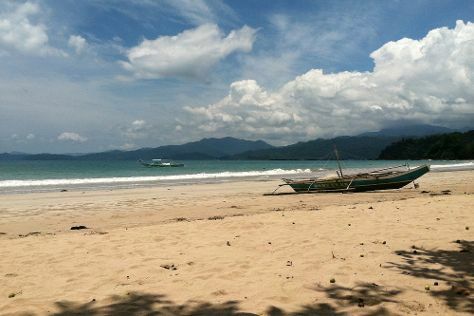 Take a break from the city and head to Sabang Beach and Puerto Princesa Underground River. Get a sense of the local culture at City Baywalk and Plaza Cuartel. And it doesn't end there: contemplate the waterfront views at Honda Bay, stop by Baker's Hill, see the vivid underwater world at Tubbataha Reef, and enjoy the sand and surf at Nagtabon Beach. To see ratings, more things to do, maps, and other tourist information, refer to the Puerto Princesa trip itinerary planner.